Plan PDF documents require Adobe Reader or other PDF viewing software and are compressed into zip files. 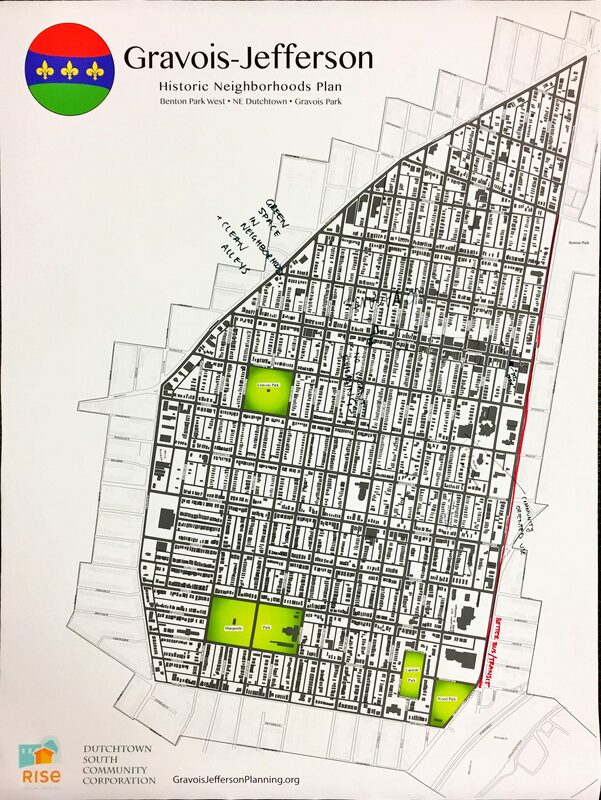 The plan is finished, being reviewed by the City of St. Louis Planning and Urban Design Agency, and will be considered for adoption at the May 2, 2018 Planning Commission meeting. The meeting takes place at 5:30pm at 1520 Market St., Suite 2000, in the Board Room. To get there you, can take the 11 Chippewa Metrobus into downtown, either the blue or red Metrolink lines to Union Station, and for vehicle commuters there will be on-street parking available as well (Click here for directions). 3113 Gasconade St. (at Minnesota Ave.) Open Monday-Thursday, 10:00 a.m.-6:00 p.m.
2832 Arsenal St. (at Oregon Ave.) Open Monday-Friday, 8:00 a.m.-3:00 p.m. 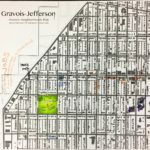 The City of St. Louis Planning and Urban Design Agency has posted a public notice regarding the Gravois Jefferson Plan on its website. 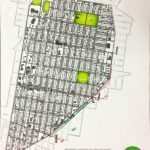 It includes downloads, a background document, and some additional context regarding the plan and the neighborhoods included. Click here to view the public notice and the provided supplemental information on the city’s website. 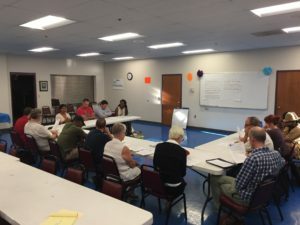 On December 13th at 6:30PM, the Gravois-Jefferson Resident Steering Committee gathered for their final meeting before the Plan goes to the City’s Planning Commission for adoption. The focus of the meeting was on implementation and community capacity. As a group, we asked the whos, whats, hows, whens and wheres of implementing the Gravois-Jefferson Plan. You may view the meeting agenda here. The meeting began with a recap of the past fifteen months of planning. Since October 2016, we have held countless public meetings, focus groups, resource groups, youth conversations, survey outreach events, and more. We have synthesized community input into hundreds of recommendations spanning eight focus areas: safety; youth and education; employment and business development; housing and community development; health; transit, streets and walkability; environment; and arts and culture. With this context, we discussed what kind of structure is best suited to carry out implementation of the Gravois-Jefferson Plan. As part of this conversation, the Steering Committee brainstormed values and necessary elements of any model. The planning team shared three “best practices” as examples of how other communities and organizations carry out their work. To check out brief overviews of these models, click here. We will synthesize the feedback from this meeting and integrate it into an “implementation” chapter of the Plan. 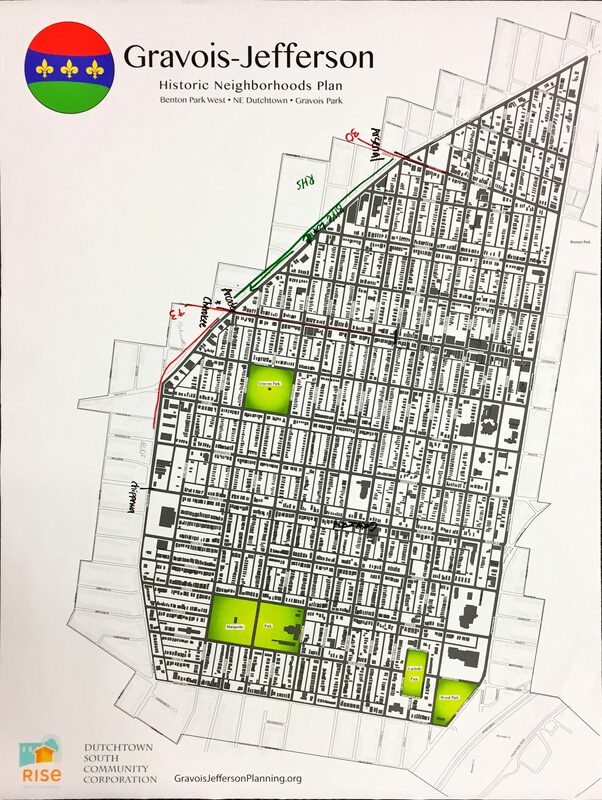 Our next steps include prioritization of recommendations (to be done by the Steering Committee), finalization of the Plan (with guidance from the City Planning Department), and submission to the Planning Commission for final adoption. 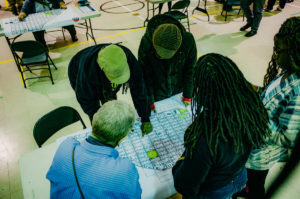 Rise Community Development, in partnership with Dutchtown South Community Corporation and other local stakeholders, are facilitating a neighborhood planning process for the Benton Park West, Gravois Park, and northeast section of Dutchtown neighborhoods. Friday, September 29th marked one year since our resident Steering Committee convened for their first meeting. 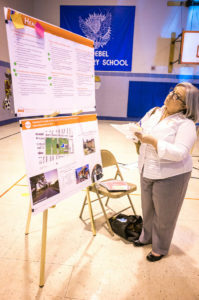 When this process began, it was impossible to foresee the amount of passion and energy that would flow in to the Gravois-Jefferson planning effort. From the Steering Committee to Resource Groups, local leaders to residents, we are humbled and inspired by your participation. 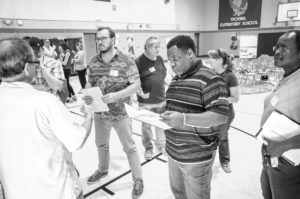 We came together in schools and community centers, on streets and stoops, to discuss the strengths, challenges, and opportunities that exist in the planning area. From there, goals and strategies were identified to leverage the strengths, address the challenges, and take advantage of the opportunities. We worked with more than 650 people to gather over 100,000 pieces of public input. We had six large public meetings, seven steering committee meetings, and countless conversations and focus groups. 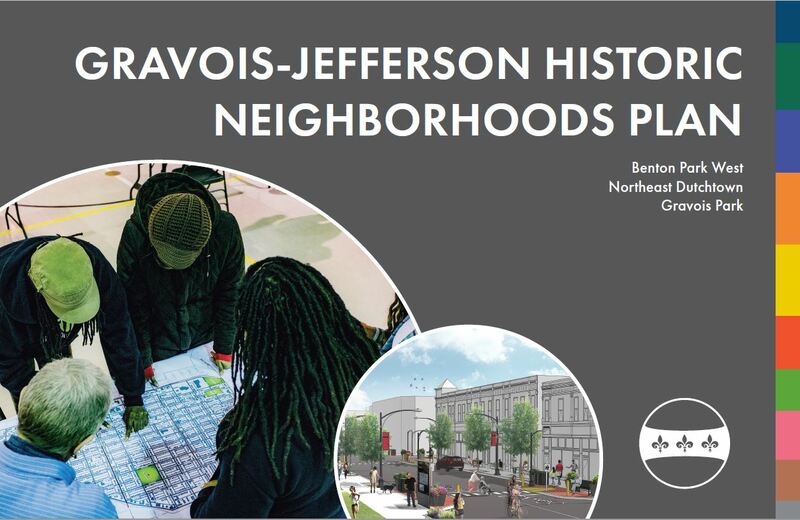 We built the Gravois-Jefferson Historic Neighborhoods Plan website featuring online meeting activities and a survey available in English and Spanish. The site has been visited over 4,000 times and we have hundreds of survey responses. We considered how neighborhood-level programs and policies could address the systemic injustice that affects all aspects of community life. As we saw inequity continue to play an insidious role in education, employment, health and other systems, we came together to brainstorm solutions. We set an intention to engage young people – especially those under 18 – in the planning process. This led us to conversations with students at Roosevelt and Carnahan High Schools, the youth council at Thomas Dunn Learning Center, the after-school group at Gene Slay’s Girls and Boys Club, and spring break camp kids at Cherokee Rec Center. 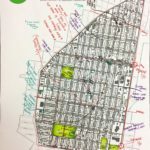 From reimagining vacant property to developing maps of their communities, youth have consistently responded with optimism and ingenuity when asked about the future of their neighborhoods. Many young people have also expressed major challenges they face on a daily basis, most notably access to jobs, prevalence of trash, and violence. We completed a Loveland Survey of every parcel in the planning area – over 5,000 buildings and lots! 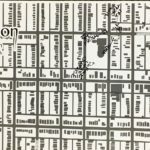 Theinformation gathered, including land use and building condition, has helped inform Plan recommendations and strategies. We were challenged to consider the ways that changing state-level and national polices affected the quality of life at the local level, especially for our most vulnerable neighbors. We convened a series of resource groups to involve stakeholders in plan development, effectively increasing communication among partners, breaking down silos, building support for strategies, and sparking implementation of the plan. We connected trained practitioners with passionate community members to develop cross-scale relationships and build a platform for sustained change. We look forward to continuing our work with these groups as we develop the final plan and transition to implementation. We synthesized community input into draft plan recommendations, which were shared with residents and stakeholders for feedback. The Steering Committee and planning team continue to refine recommendations as we approach the completion of the Gravois-Jefferson Plan. We established a community vision statement: accessible, sustainable, inclusive neighborhoods where families and individuals thrive in a diverse and historically rich, engaged community. Inspired by our progress, we look forward to the year ahead. We look forward to completing the Gravois-Jefferson Historic Neighborhoods Plan and sending it to the City Planning Commission for approval. In the coming weeks, the resident Steering Committee will be prioritizing plan recommendations and meeting to discuss implementation and capacity. 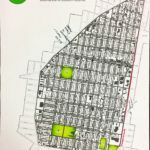 From there, staff from the City Planning and Urban Design Agency will work with Rise and Dutchtown South to submit the Gravois-Jefferson Plan for adoption. 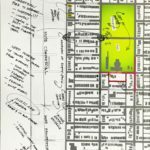 The Gravois-Jefferson Plan will be considered and (hopefully) adopted by the Planning Commission as an official Neighborhood Plan. A community event will be held to celebrate the adoption of the Plan and begin the process of implementation. Local organizations, residents, and regional partners will come together to honor the work that has been done and organize for continued action. Residents will continue to do the important everyday work of loving and caring for the Benton Park West, Dutchtown, and Gravois Park neighborhoods. 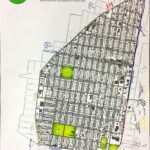 There are individuals and organizations already doing great work in the planning area; they were fulfilling the community’s vision before the planning process began and will continue to do so in years to come. We will come together in schools and community centers, on streets and stoops, to work toward accessible, sustainable, inclusive neighborhoods where families and individuals thrive in a diverse and historically rich, engaged community. We can’t wait to see what the next year brings as we work together toward stronger, more equitable neighborhoods. If you would like to receive updates on our progress, you can click the Contact Us tab and provide your email in the contact form. On Monday, June 19th, we held the seventh meeting of the Gravois-Jefferson Steering Committee. We were lucky to have a presentation by Karishma Furtado of Forward through Ferguson, to begin our conversation about criteria for evaluating draft plan recommendations. We then spent an hour brainstorming and discussing criteria for the Gravois-Jefferson Plan. While we did not come to any conclusions, we made real progress and had open, honest and respectful dialogue. You can take a look at the meeting summary, notes and next steps below. In order to jump start the conversation on Gravois-Jefferson Plan criteria, we had Karishma from the nonprofit Forward through Ferguson deliver a presentation about the Ferguson Commission’s process of synthesizing community input, developing calls to action, and prioritizing those recommendations based upon mutually establish criteria. You can view the handout she circulated here. We discussed what each of these criteria really mean and decided it will be important to have short definitions for the criteria we establish. We hope to have about three criteria for the Steering Committee to use in evaluation plan recommendations. Our next steps will involve another round of Resource Group meetings to share our draft plan recommendations and refine strategies. From these groups and additional meetings, we will send the plan recommendations to the Steering Committee for evaluation and prioritization. This process will lead directly into a draft plan summit where local residents and organizations will gather to reflect on the plan, provide comments and organize around strategies. Then, a final plan will be submitted for approval by the Planning Commission! 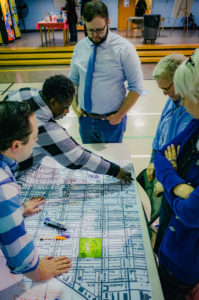 As you know, we set out an intention at the beginning of our process to engage young people – especially those under 18 – in the Gravois-Jefferson Historic Neighborhoods planning process. 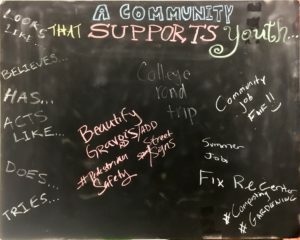 Through multiple youth resource group meetings, visits to local schools and after-school programs, we have talked with over 150 young people about neighborhood planning and the future of our community. 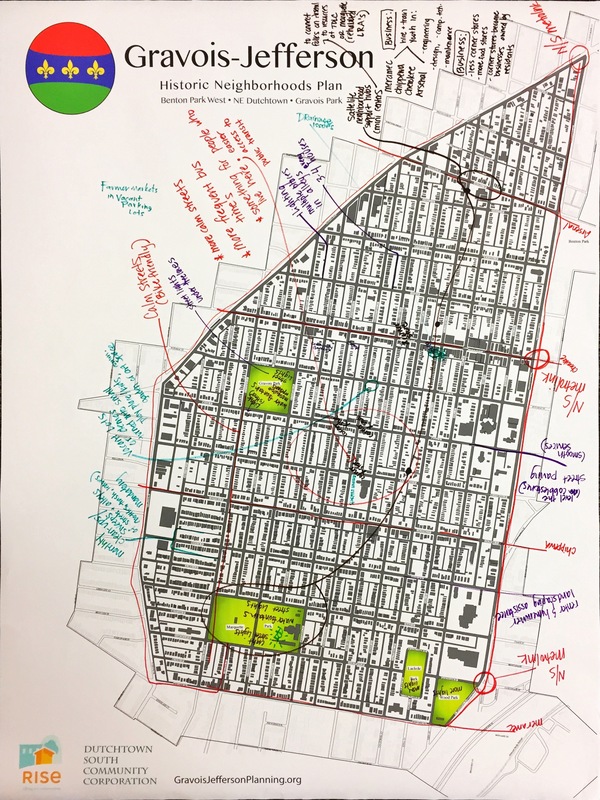 From reimagining vacant property to developing maps of their communities, youth have consistently responded with optimism and ingenuity when asked about the future of their neighborhoods. Additionally, about half of those who filled out the survey are involved in some sort of after-school activity or program. While almost 75% of young people said they were interested in being involved in improving their communities, only three said they were involved in local neighborhood associations. This highlights the great opportunity to engage young people in improving our neighborhoods. At our sixth steering committee meeting, held on May 5th, we provided a lot of updates on plan progress, from resource group feedback to our third public working meeting. 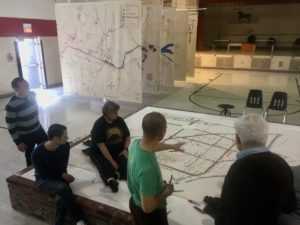 We also had an engaging presentation and activity facilitated by UMSL history professor Andrew Hurley and representatives from the Missouri Department of Conservation and City of St. Louis Planning and Urban Design Agency. You can take a look at the meeting summary, notes and next steps below. We began our meeting with a short overview of the third public working meeting, focused on neighborhood. At that meeting, we asked everyone to think about what our community will look like in the year 2030. Then, with large maps and data, we drew and wrote about our future community. A full summary of this meeting and the feedback we received can be found here. We then discussed our process of developing and prioritizing plan recommendations for the draft Gravois-Jefferson Plan. We shared the draft plan outline and some takeaways from our meeting with the staff of Forward through Ferguson. 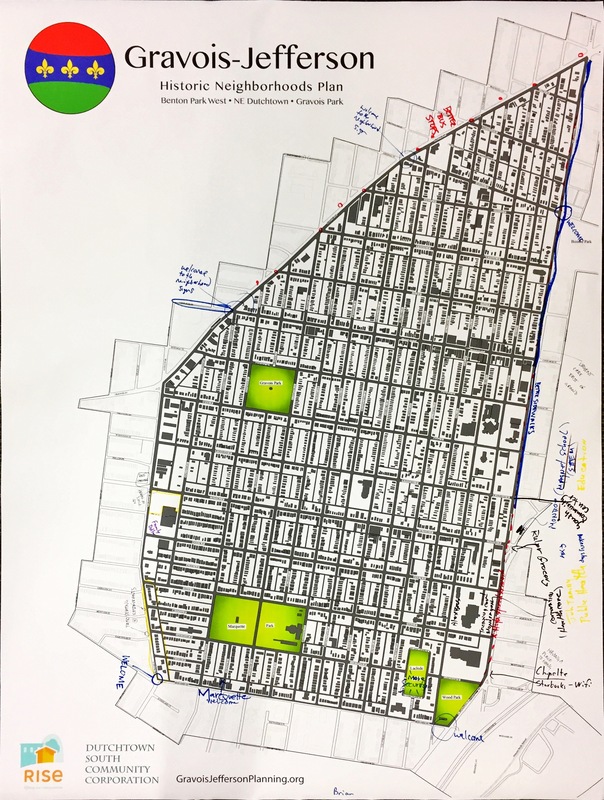 In the coming weeks, will be developing the draft plan recommendations, which will be shared with the steering committee and community members in a format that encourages prioritization based upon criteria we will develop together. 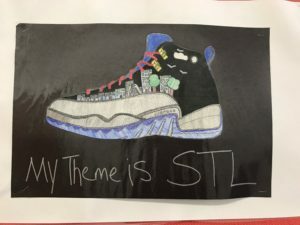 We spent the majority of our time participating in an activity related to environmental and ecological topics, facilitated by a group of experts from UMSL, the Missouri Department of Conservation, and the City of St. Louis Planning and Urban Design Agency. Their team delivered a presentation (click here to view) and led a group mapping session to discuss tree canopy, neighborhood heating, and climate change. They are currently synthesizing our feedback; I will share their report when they are finished. As mentioned above, our next steps will involved draft plan development and prioritization. We look forward to continuing our work with all of you throughout the coming months. Thank you all for your continued passion and support. On each map, a key guided comments on neighborhood aesthetic and design (BLUE), businesses and services (BROWN), transit and street configuration (RED), parks and green spaces (GREEN), and priority areas (YELLOW). A catalog of feedback at each scale can be found using this spreadsheet. At the end of the meeting, we had a conversation about “community infrastructure”: the entities, partnerships and programs that serve as the long-term implementer, guardian, or funder of important neighborhood services, programs and projects. Ensuring community anchors and leaders have the capacity and resources necessary to carry out the recommendations set forth in the Gravois-Jefferson Plan is prerequisite to success. This conversation discussed how to make that happen. In the next few months, we will be synthesizing the mass of community input we’ve received into a draft plan, which will be presented to the community for feedback and revision. From there, we will develop a final plan to be submitted for adoption by the City of St. Louis. Thank you for your continued support and passion. 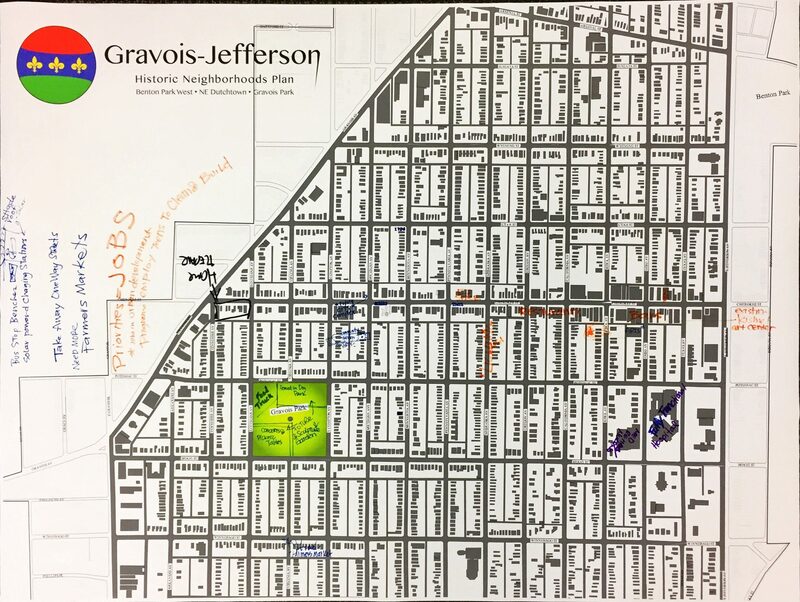 Here’s a quick update on the Gravois-Jefferson Historic Neighborhoods planning process! Since our public kick off in November, we have engaged more than 550 people, gathering 4,000+ pieces of information. We’ve had four large public meetings, five steering committee meetings, and countless conversations and focus groups. Our website has been visited over 3,500 times, and we’ve distributed thousands of flyers. Over the next few months, we look forward to our final public working meeting on May 3rd, a draft plan meeting in June, and our final plan presentation in July. In addition to these public meetings, we are kicking off our resource group strategy, returning to meet with the Vietnamese Elders and other groups, holding additional steering committee meetings, and advancing our collaborate work to apply a racial equity lens to our efforts. If you have not yet had the opportunity to get involved, you can participate online, take our survey, or add yourself to our contact list! Students at Roosevelt HS made this to talk about their community. Over the past few months, we have also been conducting outreach to our young neighbors. Conversations with students at Roosevelt and Carnahan High Schools, the youth council at Thomas Dunn Learning Center, and spring break camp kids at Cherokee Rec Center have produced a robust base of information and engagement among those under 18. From these conversations and surveys, we have learned that many young people love the proximity of friends and family and their homes. Some of the greatest challenges they face include crime and violence, vacant and abandoned properties, and littering. On March 30th, we held another session of our second public working meeting around the theme of Housing. 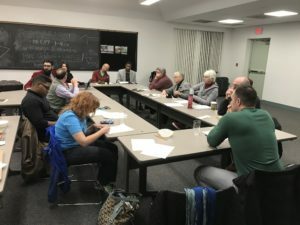 Combined with the previous housing meeting, these meetings engaged more than 100 people in reviewing information and developing strategies and goals to address the needs of our neighborhoods. Key themes included community ownership of development, preservation of diversity, and the importance of communication and coordination among residents and partners. You can see a full recap of this meeting here. Finally, members of our steering committee attended COCA’s STL Map Room exhibit to develop a map of our community. We are excited to bring this massive map to our upcoming public meetings to show off the fantastic work of committee members, and encourage residents to add to it!